Batteries are crucial components in the overall reliability of powerplants, substations, telecommunication systems, generator excitation systems and protection & control systems. The inability of a battery string to provide sufficient voltage/power to protection circuits may lead to catastrophic consequences that cause damage to site equipment, resulting in reduced safety and costly downtime. Listening to the demands of test engineers from around the world, DV Power have developed state-of-the-art battery testing and monitoring solutions to meet IEEE and IEC standards. The essential test for the condition assessment of a battery string is the capacity test which can be carried out using the BLU series of Battery Load Units. In addition to this critical test the DV Power portfolio of battery test equipment is designed to measure and monitor intercell connection voltage, internal resistance, cell and ambient temperature and cell voltage. All DV Power instruments are provided with intuitive software for graphical and numerical analysis of acquired data. On completion of testing the DV Power BAC25A Battery Charger can be used to rapidly recharge the tested lead-acid and Ni-Cd batteries. 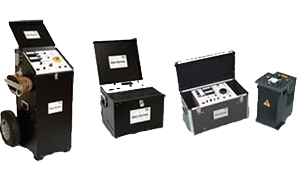 DV Power are renowned for using cutting-edge-technology to produce light, powerful, and highly accurate battery, circuit breaker and transformer test equipment. 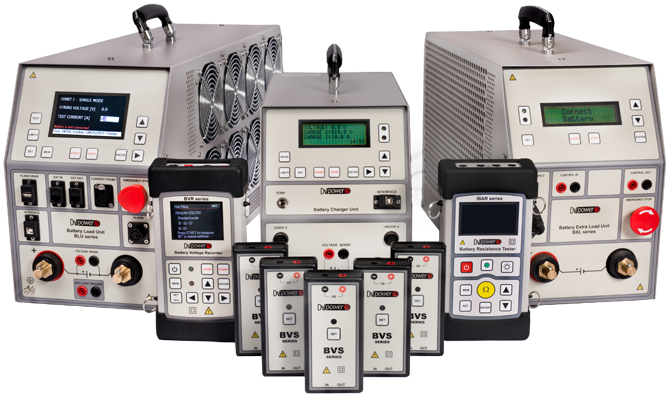 DV Power provides a 3-year warranty on all test instrumentation. 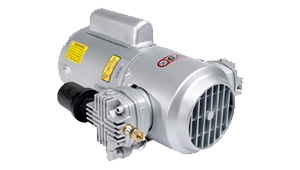 This is a guarantee to our customers that they will receive the highest quality test equipment on the market.